With summer now here, we have been feverishly tending our spectacular trial gardens. 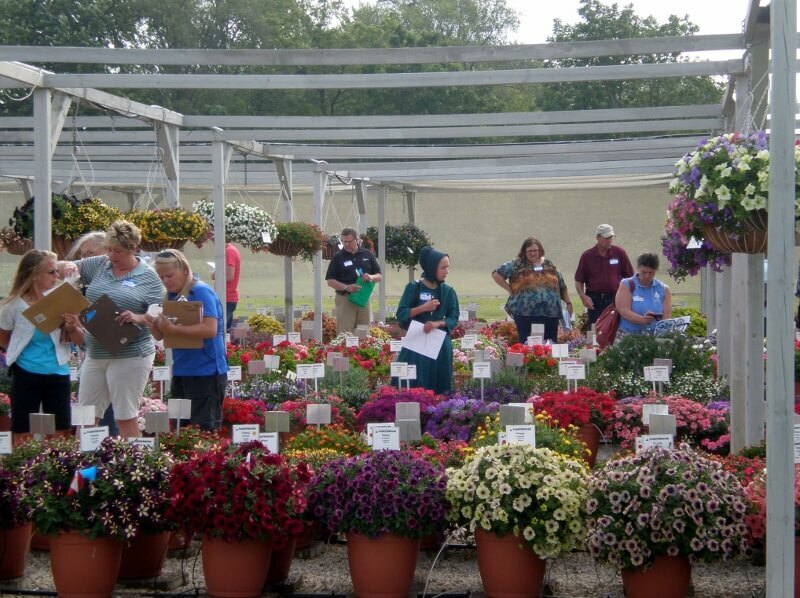 As you may know, we organize and conduct an extensive trial garden on site in Cresco, Iowa. With new plant varieties coming in from all over the world, our gardens host some of the most stunning colors and textures. Once in our trial gardens, we put new varieties to the test, no more easy greenhouse living here! Throughout the season we observe and grade out product based upon its ability to perform and its ability to succeed in the market. After a new months in the garden, we host events for horticulture professionals and the public to come and view the new varieties and grade the product themselves. This feedback helps steer our programs for the upcoming seasons and ensure that we are bringing the best new products to our customers. To sign up for the events click here! On Friday, August 3rd, 2018 from 9am to 4pm we will be hosting an event for horticulture professionals including retailers, growers, and vendors. Click here for a travel guide for the area. Please help us provide you with the best experience possible by returning an RSVP to stacyb@plantpeddler.com or info@plantpeddler.com you can also call 800.827.1654 and ask for Stacy.